One of the evidences that Christ Apostolic Church is planted not on human philosophy, but on Christ’s rock is that despite the challenges militating against the progress of the church, it is still waxing stronger. Undoubtedly,CAC Peaceland District Headquarters is one of the testimonies of CAC Worldwide having passed through so many challenges that could have surmount the church, the grace of God has been sufficient. The church which has started the celebration of her 20th anniversary over a month ago with 40days revival which ended last week holds her anniversary thanksgiving service today. 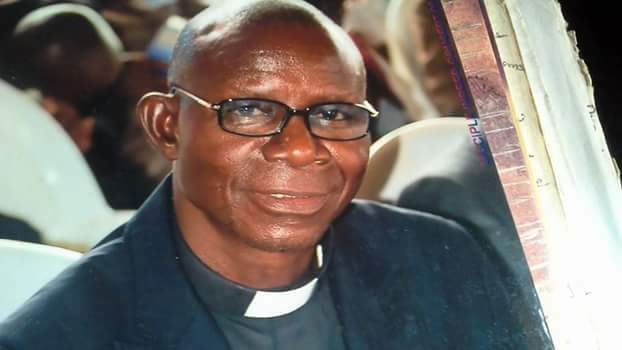 In this exclusive interview with ‘GBENGA BANKOLE, the District Superintendent, CAC Peaceland District, Pastor F.A. Oke speaks on the church since the last 20years. EXCERPT ! How do you feel that the church is marking her 20th anniversary? I am very happy that we are marking our 20th anniversary. Honestly speaking I am appreciating God because pastoring the church for 20years is not very easy. God has been my helper and He has been helping me since all these while. I am happy that the church is marking her 20th anniversary. How would you describe the journey since the last 20 years? The journey is not all that smooth. I experienced a lot of thing that one may not even know how to describe. But the bottom line is that God is with His church and He is walking with us. Whenever I have any problem or challenges, I go to Him and He always solve if for me. I don’t see the church as mine, but as God’s church. How many assemblies do you have under your district presently? We have four assemblies including the headquarters. How can you compare your responsibilities when you started 20 years ago and now? When one is moving up, it would become hotter a bit. When we started the church, we were small assembly and as we keep on growing, definitely the burden will increase. The church has metamorphosed into district status. When we started and even some years ago we were operating as an assembly, but now we are the district headquarters. The burden now compare with when we started is very huge. But since it is God that is carrying the burden, we don’t see it as burden. I see it as working for God. When the church started 20 years ago, who were those that were your members then and are still your members till today? Honestly speaking we have some of them with us. Some of them have gone to start their church somewhere. We are giving some of the old members award on anniversary day. Some of them are still with us, while some are unable to come again because of the distance. Someone like our beloved Elder S.O. Agunwa left the church because of the distance. Also, Deacon S.O. Abayomi and Deacon I.B. Soga who are now in Port Harcourt and Lekki respectively. We are giving awards to members who have being with us from the beginning till now. We have three of them on our list. We are also giving award to best worker, most committed member, most punctual member etc. Since the last 20years, who are those people that have moved from grass to grace in the church? We have many of them. I may not be able to mention their names. At Ibadan, we have about three Pastors who grew from our church but now they are pastoring churches. We also have people at the authority in Abuja and Lagos. What has been the role of your wife and your family as a whole in the success of your ministry? I want to thank God for giving me my ideal wife. When you have a good wife that cooperate with your vision, your children will not stray away. I came from a Muslim background, but my wife being a Christian from birth has being a good helper to my ministry. She is our assembly Sunday school supervisor and apart from that she is a prayer warrior. She prays along with me, even when I am tired, she takes it up. In terms of rearing our children, she has been there for me always. When I don’t have money, she takes care of them and nobody knows about it. Are you commissioning any project or facility to commemorate the anniversary? We have a branch at Ogijo in Ogun state that we have inaugurated to commemorate the anniversary. Apart from that there are equipment we will commission on the anniversary day. What is your message to members of the church as you mark your 20th anniversary? My message to members of the church is that they should focus on heavenly thing because our Lord Jesus Christ can come anytime. If we are expecting His second coming, we need to have our focus towards Heaven. What is the future projection of the church? By the grace of God the church has prospect. We intend to plant seven assemblies in the next few year, but the challenges we have is lack of personnel. We have land at Imore in Apapa, Ogba-Ayo in Ogun state and other places, but we don’t have personnel who will champion the course.